Do you like hearty meals for dinner, even in warm weather? This is more of an autumnal type meal and yes, it's only June but I'll eat most things, no matter what time of the year it is. This pungent curry makes for a decent after work dinner. It is so quick and simple to prepare and it is also the place where canned pulses make their mark. I'm sure you know we all need our proteins and this is certainly no exception; there is loads of it here. Meat, poultry and fish are complete proteins on their own but what if you are vegetarian? I haven't posted a recipe for carnivores for quite some time. I am not a veggie and I do like lamb, chicken and salmon occasionally, but this meal will certainly make for a great substitute. Hold off on the basmati if you wish. Oh, and meat? Nah, this will do the trick. 2. Add curry powder, ground curry powder, cinnamon, turmeric and diced potatoes. Stir and then add chickpeas. Season to taste with salt and pepper and add just enough water to cover bring to boil. Cover and simmer gently for 15 minutes. 3. 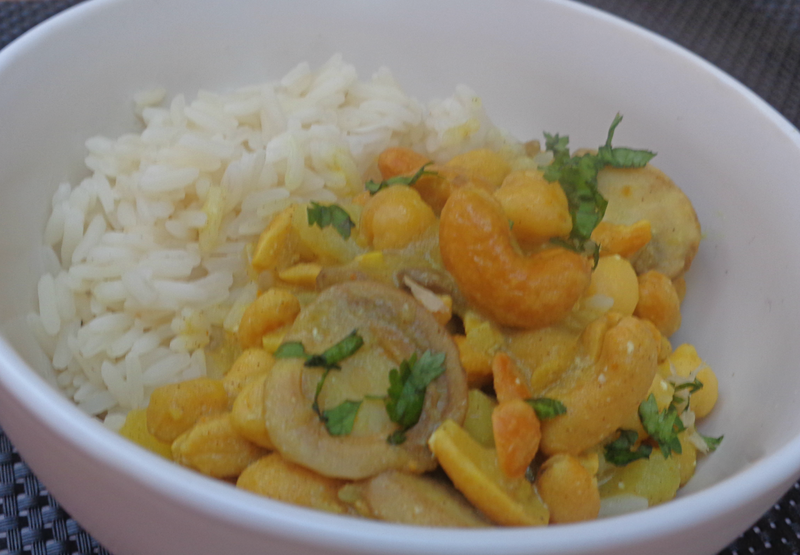 Stir the cashew nuts into the curry if using along with yogurt and chopped fresh coriander. 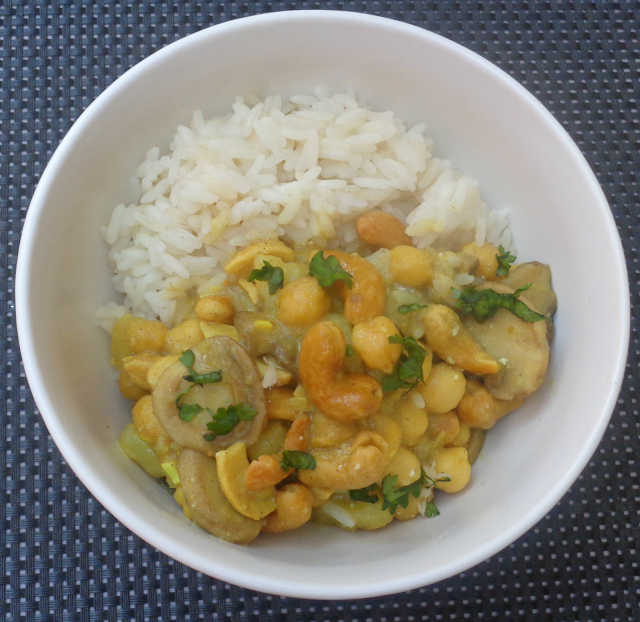 Heat through without boiling and serve with rice.